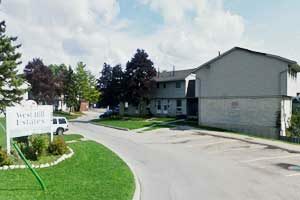 A 4 storey midrise condominium building in the Onward Willow neighbourhood in west Guelph. 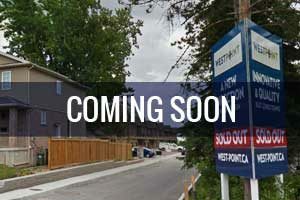 These townhomes are located in Westhill Estates. 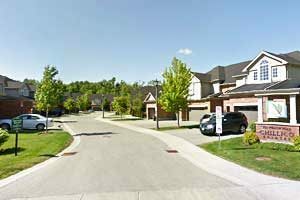 They are close to shopping, schools and easy access to the Hanlon Pkwy and the 401. 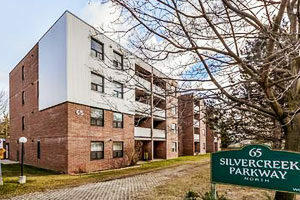 This 6 storey condominium building is located in the Onward Willow neighbourhood in west Guelph. An exclusive condominium townhouses complex consisting of 42 units. 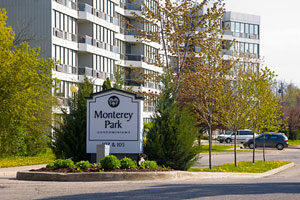 Located close to shopping, parks and walking trails. Townhouse condominiums. 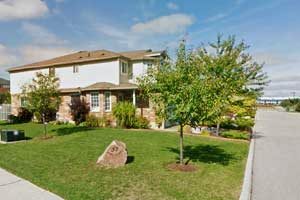 Close to shopping, schools and parks. Townhouse condominiums. 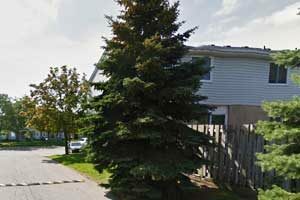 Close to shopping, parks and West End Community Centre. 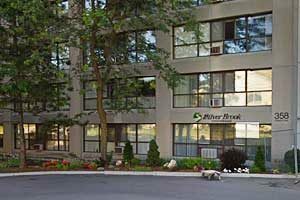 A 11 storey condominium building located close to downtown, the Speed River, Silvercreek Park and walking trails. A 6 storey condominium building. 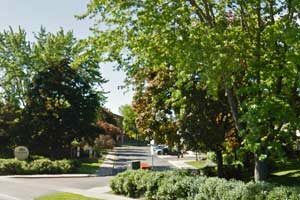 Easy access to the Hanlon Parkway and across the street from Margaret Greene Park. Craftsman style condominium townhomes consisting of 25 units built in blocks of 3-4 units. 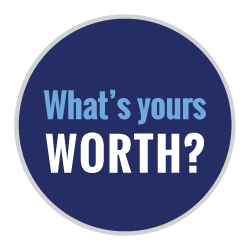 Great access to shopping and commuter routes – Hwy 7 & the Hanlon Parkway. 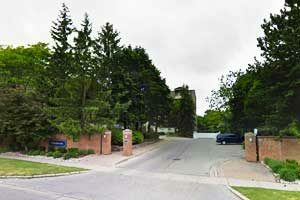 Condominium townhouses. 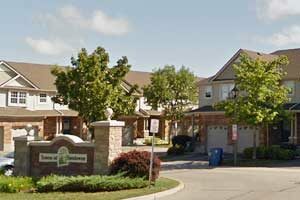 Located a short distance to the West End Community Centre, Guelph Public Library, parks and shopping. This red brick complex consists of 96 stacked townhouses situated in landscaped grounds with mature trees. There is a children’s playground and a pool on site.